California voted down an initiative Tuesday that would have repealed an unpopular gas tax increase spearheaded by the state’s Democratic legislature and Democratic Gov. Jerry Brown. The measure failed 55 to 45 percent and concludes a year-long campaign against the law, which was passed in April 2017 and placed a 12-cent increase on the state’s fuel tax. Supporters of the measure said in October they would work to recall California Attorney General Xavier Becerra if the repeal did not pass. 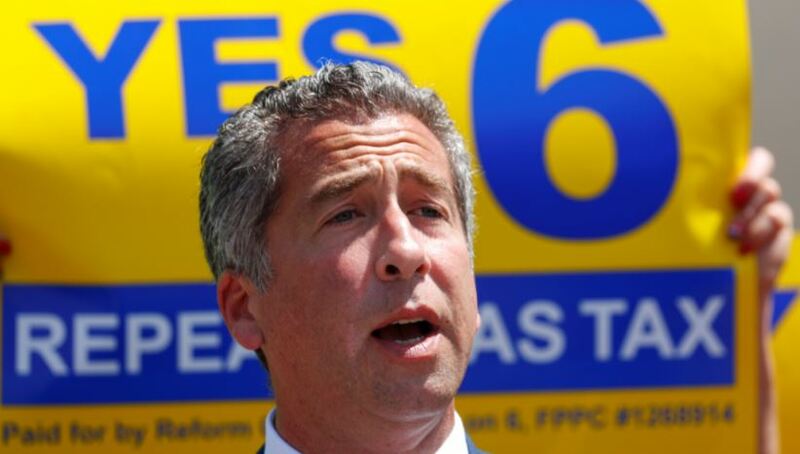 Supporters of the initiative say their threat to recall is credible given their successful effort to remove former Democratic state Sen. Josh Newman from office earlier in 2018 over his support for gas tax. The gas tax increase also comes amid rising gas prices in the state. The average price in California stood at $3.683 a gallon, up 18 percent from $3.11 in 2017, according to the reports in September from American Automobile Association A portion of the increase stems from the fuel excise tax that went into effect in November. The state tax now sits at 41.7 cents per gallon and is one of the highest in the country. Gas prices have also slammed Los Angeles citizens. The average pump price for regular gas in the area is hovering around $3.736 a gallon, up nearly 19 percent from a year earlier, according to the American Automobile Association. The referendum helped California Republican Rep. Mimi Walters raise millions of dollars for her campaign. It would reportedly lower the price of gasoline in the state to $2 per gallon by 2021, Politico reported in May. Walters and Republican candidate Young Kim, who is running for retiring Rep. Ed Royce’s seat, brought several boxes filled with 82,410 signatures into the Orange County Registrar’s office in early May to repeal the gas tax. Republicans collected more than 1 million signatures, even though only 365,880 were needed to put Prop 6 on the November ballot.